Based on Wikipedia, a bob is a short hairdo for mostly women wherein the hair is usually cut around the head, whether its length is as high as ears, under ears or above shoulder –with or without bangs at the front. It is a popular hairstyle that continues developing since long time ago; from the classic types to many new modern bob variations that you might see anywhere now. Do you opt for bob with bangs like Vanessa Hudgens’s bob? Go ahead as not only bobs and bangs include 2018 hottest hair trends; this bob style also makes you look younger and adorable. Bob hairstyles never go out of style. Lots of celebs change their long hair looks to short bobs and lobs (longer bobs). While short bobs are chin-grazing styles that not suit any face shape, longer lobs are shoulder-grazing cuts that suit any face shape and hair texture. Hair stylists said any woman who has nice jawline and neck can try a bob. Otherwise, a longer lob is the better choice. Anyway, short or longer, you will find bob cuts that look good on you. The right bob will flatter your face and make you confident. 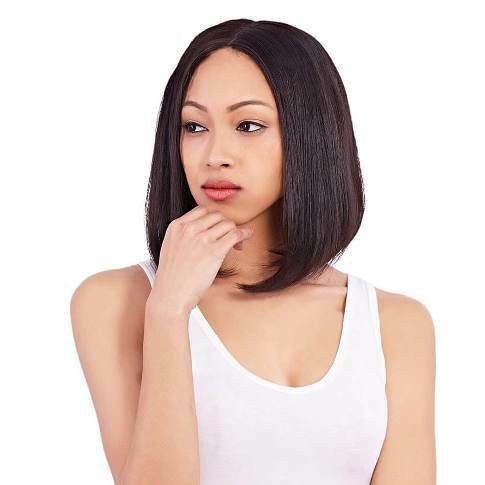 If you want to experiment in different cuts and lengths of bob hair, the easier way is wearing the trendiest Maxglam bob wigs that made to meet fashionable women’s demands. Choose middle part bob wig like above to get the similar appealing look of Selena Gomez’s longer bob style. The wig helps you to get this flawless look instantly! No doubt that with wigs, you can change hair styles as often as you want. Other than those mentioned earlier, the list of favorite bob styles is still long; some of them are side part bob, shaggy bob, Alison Brie’s tousled bob, layered bob, Beyonce’s wavy bob, Victoria Beckham’s textured bob, sleek super straight bob, blunt cut bob and Emma Stone’s graduated bob with side-swept bangs. You have many options to choose. Coloring the wigs with trendiest tones will add more the charms. Well, girls, which ones are your desired bobs? I myself would like to try a longer straight bob with side-swept bangs. I can’t wear a short bob as I have round shaped face. 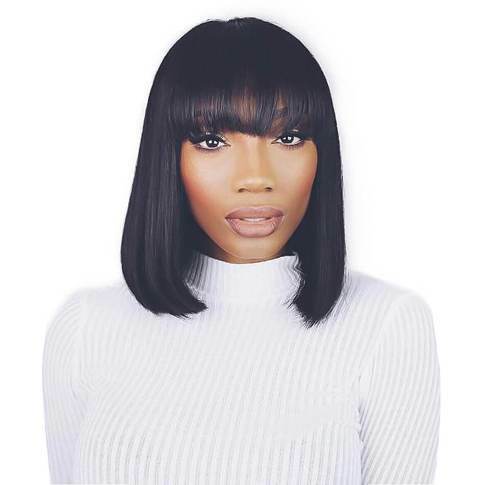 If you have decided what kinds of bobs that you want to get for your fresh looks this early year, just go online and find high quality hair products at trusted hair websites like Maxglam. I’m sure that you will be happy with your new cute bob looks!